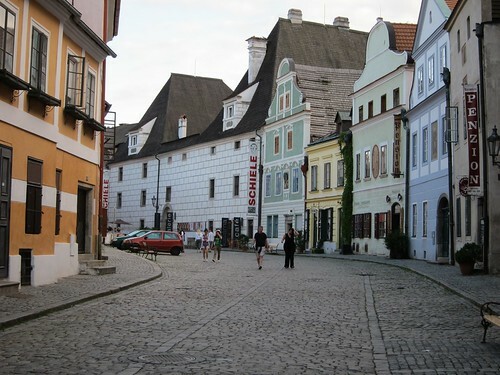 Tuesday's ride was a 45 km loop from Cesky Krumlov to Chvalsiny and back, giving us time in the afternoon to explore the town and see the castle. 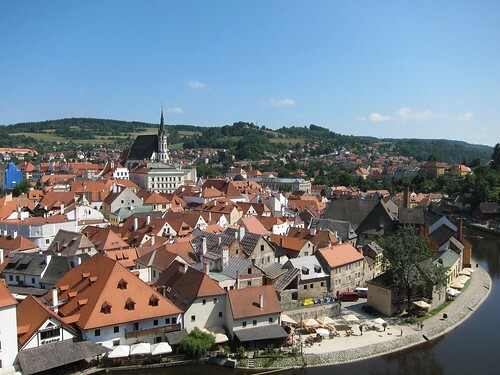 Cesky Krumlov is a tourist haven, and during the day the streets were crowded with families and travelers from around the world. We saw more than a few backpackers and cyclists with overloaded panniers passing through and spending the night in the town's hostels. That evening, we had a Q and A session with a local historian and linguist, a walking tour of the town, and then dinner at a restaurant. We'd been promised music which I assumed would be a local band playing traditional Czech music. 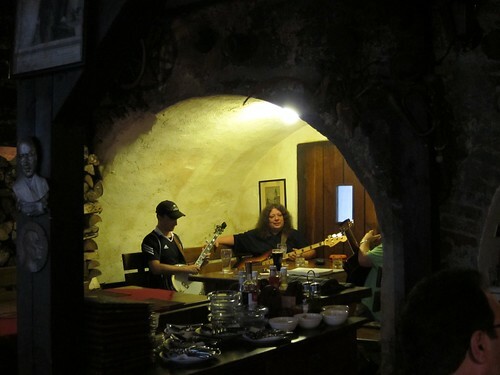 Well, they were locals, but they played American bluegrass songs and sang the lyrics in Czech. My friends (who knew about my musical skills) suggested I ask them if I could sit in on a song or two on bass. I politely declined to ask. 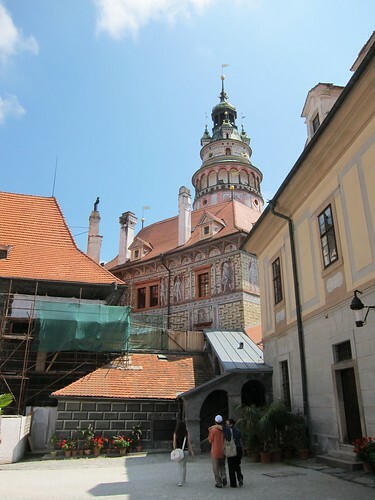 Before we left, our guide came over to our table and offered us some Becherovka. It's another traditional Czech liqueur, and it was nearly as vile as the slivovice was. One of my friends described it as cloves mixed with gasoline. I think we could have used it to fuel the bus we would take to Austria on Wednesday morning.